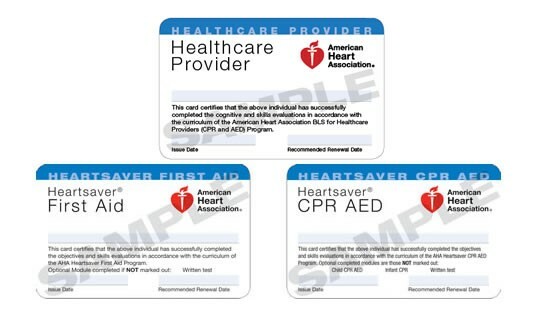 After an official AHA class, you are given a paper card or ecard. If you took the class from www.cprflorida.net we issued this card to you directly. You are in possession of this card and there are no copies. If you lost your card or it was stolen, it is your responsibility to get your own replacement card. Please note that this webpage site is only for those who took a class in Florida with www.cprflorida.net If you took the class somewhere else, you must contact that training site or center and instructor. Yes, there is a fee. Again, only contact them if you are positive you took the class with CPR Florida. If you took the class with a different company, you must contact them.